Summer is a hot travel season here in Southwest Louisiana. It’s the time of year for leisure travelers and weekend warriors to explore the beaches along the Gulf of Mexico, see the alligators along the Creole Nature Trail and hit up the casinos and live concerts. When visitors are looking for something authentic from Lake Charles to bring home with them, there are a few spots around the area they can shop for souvenirs. 1. 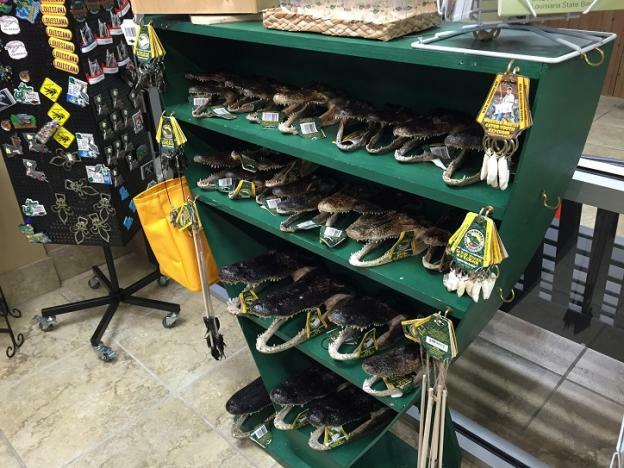 The Lake Charles/Southwest Louisiana Convention & Visitors Bureau gift shop has Louisiana art, Mardi Gras regalia, Lake Charles t-shirts, postcards, Cajun Ben’s Alligator Heads and Necklaces, magnets, cookbooks, Tabasco Jelly Beans, home decor and more. The Creole Nature Trail Adventure Point has a Louisiana nature-themed gift shop. The kids love the hatching gator eggs. 2. 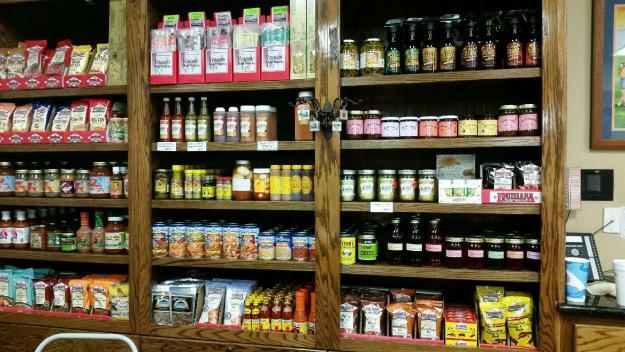 LeBleu’s Landing in Sulphur sells hot sauces, Louisiana culinary gift items, children’s toys, books, aprons and other authentic Southwest Louisiana items. 3. While in Sulphur check out the Trail of Treasures for all kind of locally made gifts, art, jewelry, and crafts. 4. The Cottage Shops Cultural District offers assorted boutiques offering Louisiana art, jewelry, coffee and local souvenirs, as well. You’ll also find Acadian Coffee Roasters. They roast and package their organic coffees right here in Lake Charles and they are the perfect gift to bring home and enjoy on your own front porch or patio. 5. 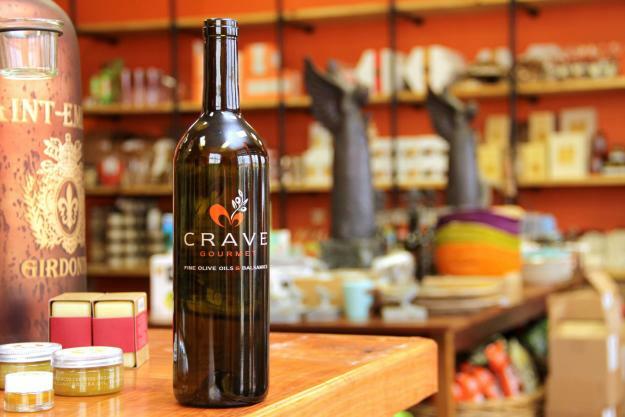 Crave offers a variety of fantastic gift options. You’ll find several Louisiana products including regional soda – Swamp Pop. Flavors include Filé Root Beer, Jean Lafitte Ginger Ale, and praline cream soda. YUM! They also have Crying Eagle Brewing beers in stock. (Visit the brewery to bring home a growler of your favorite brew!) For a more savory flavor, pick up a loaf of 121 Artisan Bistro’s French loaf and pair it with any of the delicious oils and vinegar. 6. Boudin is the number one request from most people who visit and can’t get enough of this delicious Cajun sausage. The good news, the Southwest Louisiana Boudin Trail features several locations who ship frozen boudin across the country. Click here for a full list. 7. If food is your souvenir of choice, Leonard’s Food Quarters has some of the best culinary baskets around! 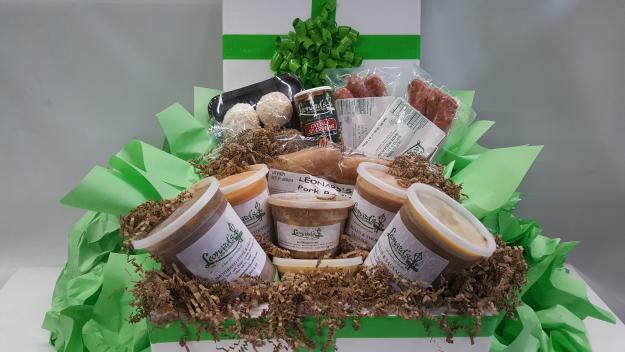 You can go in and hand pick from a dozen of frozen specialties or order the basket online and have it shipped home. If you do visit in person, do yourself a favor and enjoy a plate lunch special. 8. Big Easy Foods is another foodie option. Order your favorite seafood or Cajun dressings online and have them delivered. 9. Unique and local art pieces are perfect for reminding you of your Southwest Louisiana experiences. Several galleries display local art that is also for sale. For a one of a kind piece, create your own at Arts’ Desire. Check out this piece called gyotaku art (aka fish rubbing) using a real bass fish caught in Calcasieu Lake, painted and pressed onto a cypress plank like a stamp. We’ve got tons Louisiana products and culinary ingredients to choose from. What are your favorite Louisiana souvenirs?